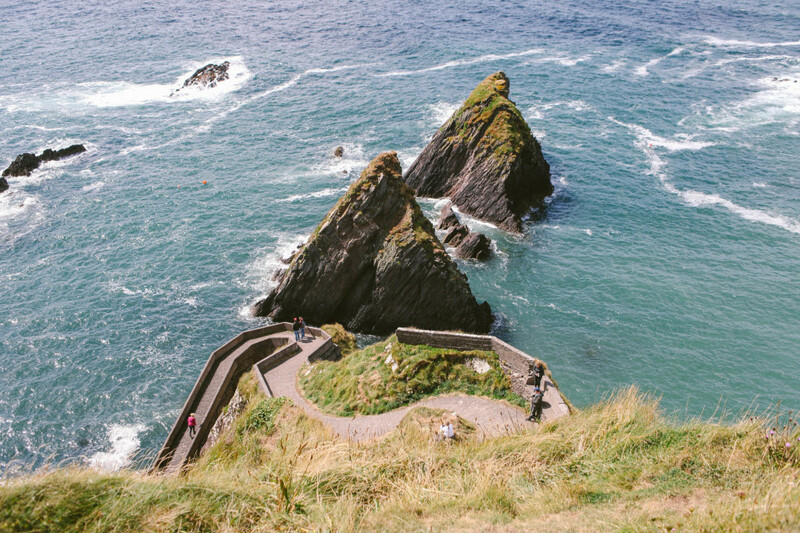 This is a guest post written by my daughter, Barbara, who travelled with me to Ireland this past August. 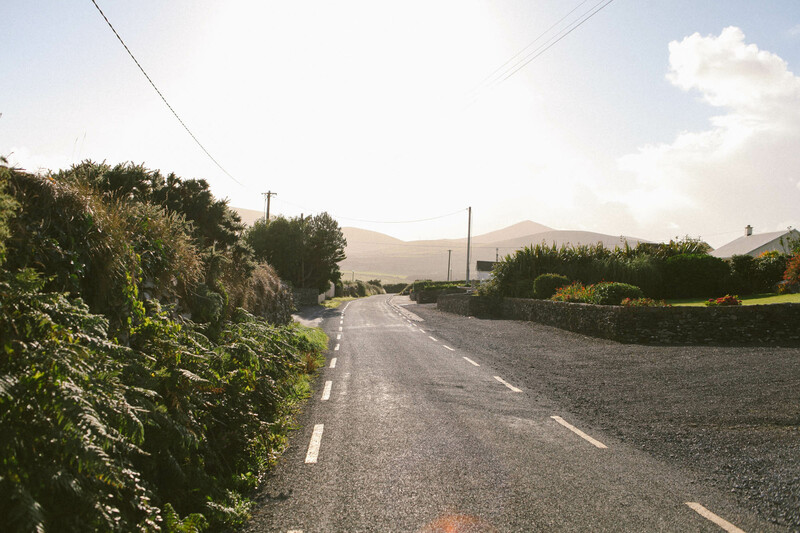 Our modern ways of travel allow us to move quickly and see a lot in a short amount of time. 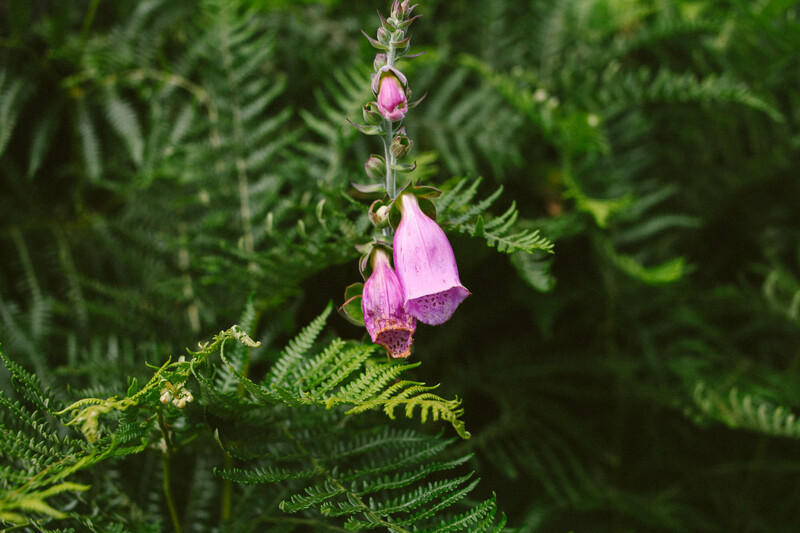 But after days spent on trains, buses and tours, it can be a nice change of pace to set out on foot and explore a new place on your own. 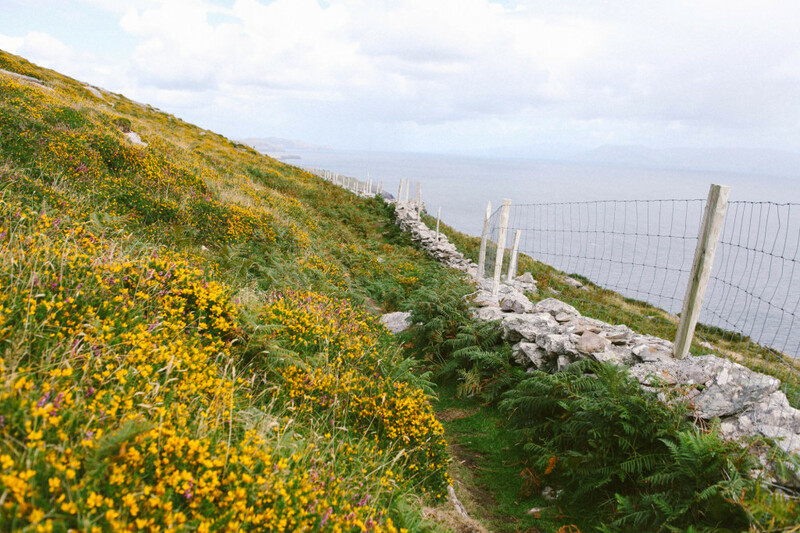 After our first few days in Ireland, I was craving a different, slower way to take in the stunning scenery around us. 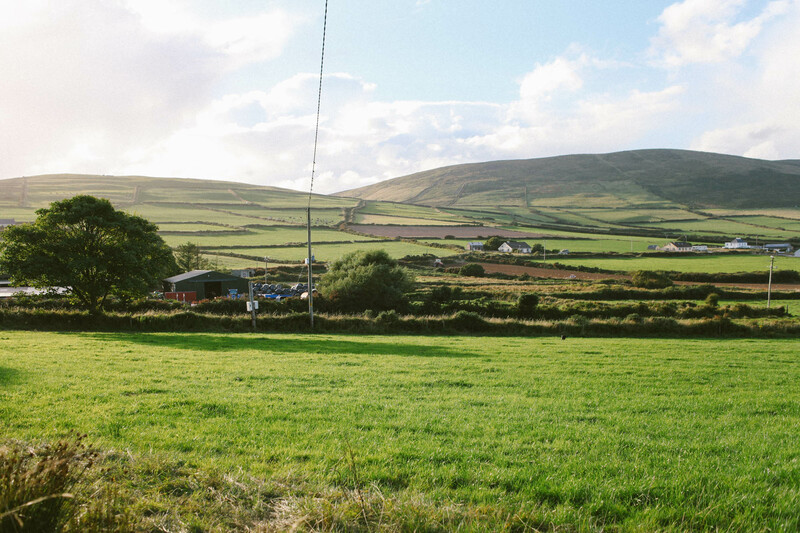 I felt that I wanted to touch and really take in the beautiful nature we’d seen through bus windows. 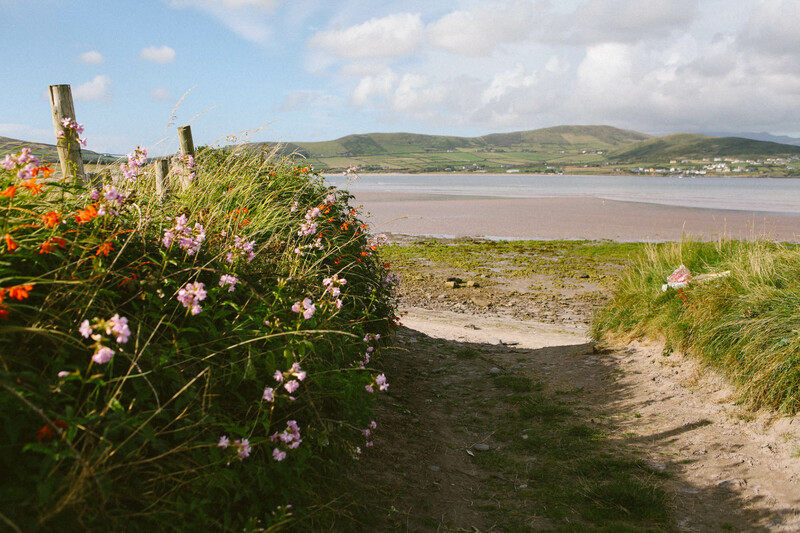 The opportunity presented itself when we were in Dingle, the little fishing village on Ireland’s west coast, and found out that the village was a stop on a multi-day hiking trail called The Dingle Way. 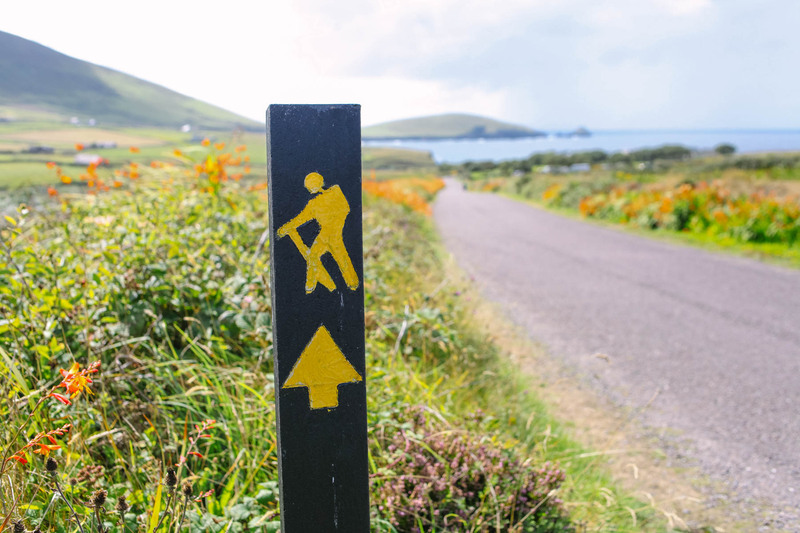 The Dingle Way is a 180km-long trail that loops around the Dingle Peninsula on the Atlantic Ocean. 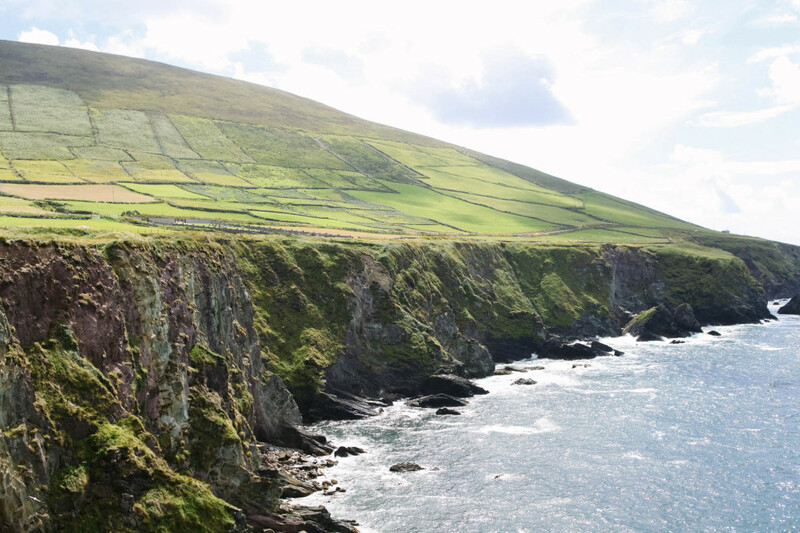 It takes about 8 days to complete the entirety and takes you through many sceneries, from farmlands to rocky coastlines to green mountain slopes covered in ancient archaeological sites. It was perfect. 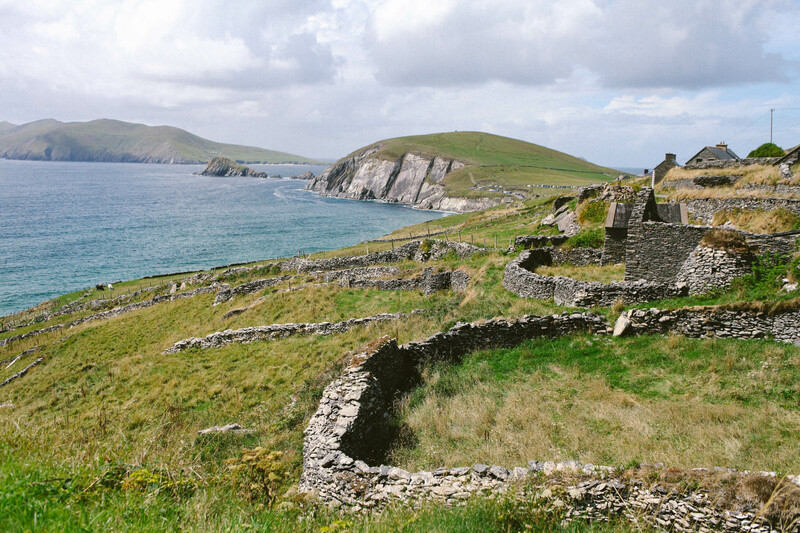 I decided I’d spend a day doing a portion of the trail – a 25km stretch from Dunquin back to Dingle. With a smart recommendation from our B&B owner, I began the day with my mom on an archaeological tour with Sciúird Tours. 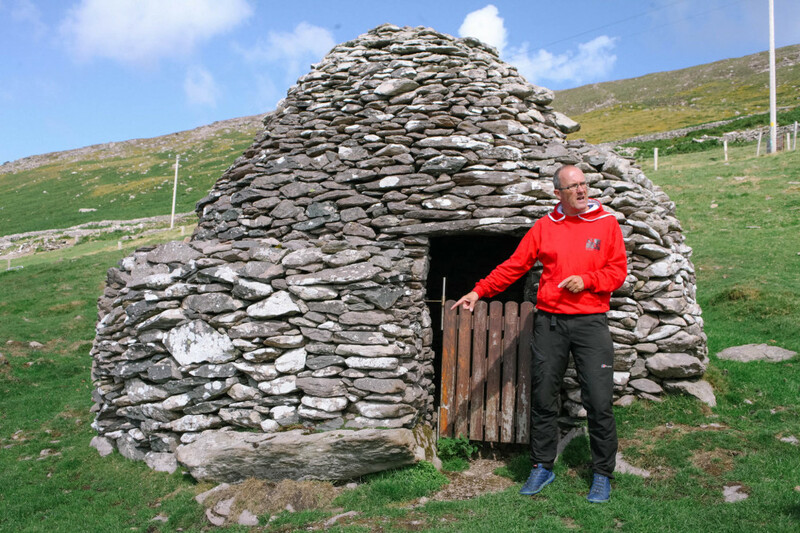 The tour costs the same amount as a taxi to the starting point of my hike (30€) and provides a fascinating introduction into the archeological treasures that can be found everywhere on the Dingle Peninsula. As our guide Michael pointed out, there is not a single farmer on the peninsula who doesn’t have some form of ancient archaeology on their property. 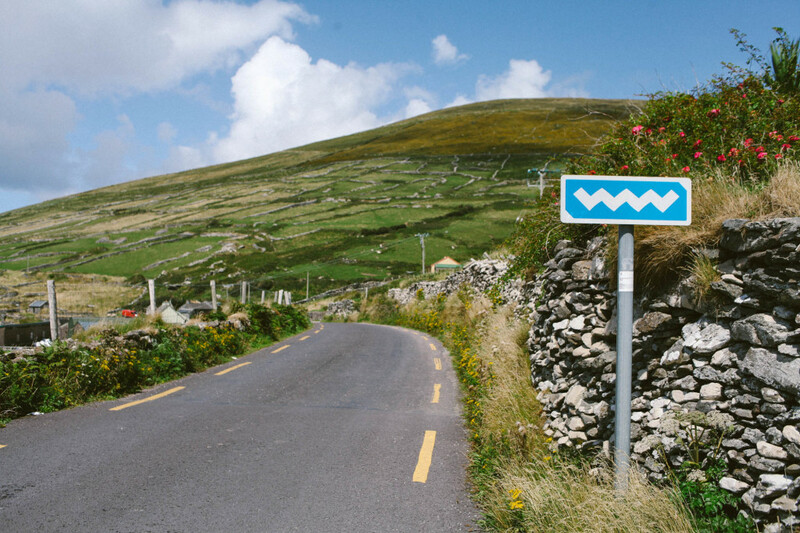 About half way into the tour, Michael dropped me off on the side of the road in Dunquin, where The Dingle Way joined the main road. 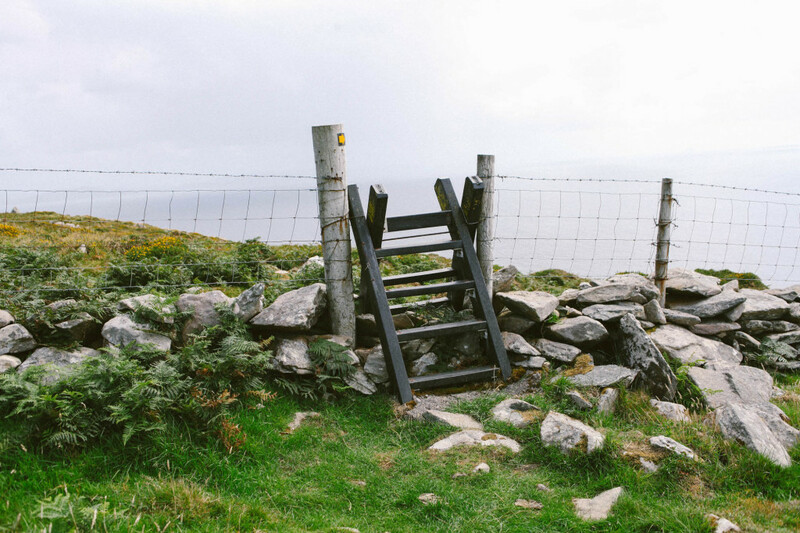 His van left and it was just me, my definitely-not-meant-for-hiking black Keds shoes, and 25km of wild western Irish trail ahead. 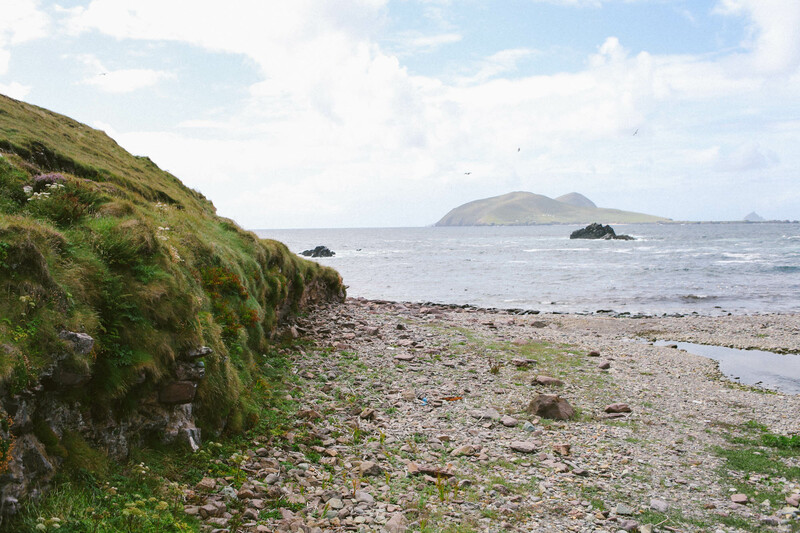 The trail began with a view on the Blasket Islands across the water, a set of islands that were inhabited until the 1950s, despite being cut off from the mainland and in a harsh natural setting. 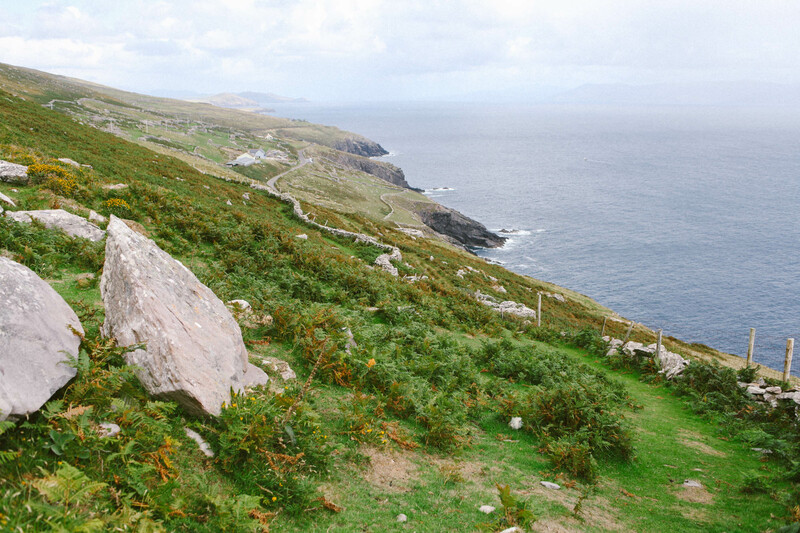 The coast in this area is dramatic, and the ferry to the islands leaves from what is known as the “Sheep Highway”, a winding road with pointed rocks and crystal blue water all around it. The trail here joins with the famous Slea Head Drive, a scenic road that shows off the beauty of the Dingle coast and that is part of the Wild Atlantic Way – a route following all of Ireland’s West coast. 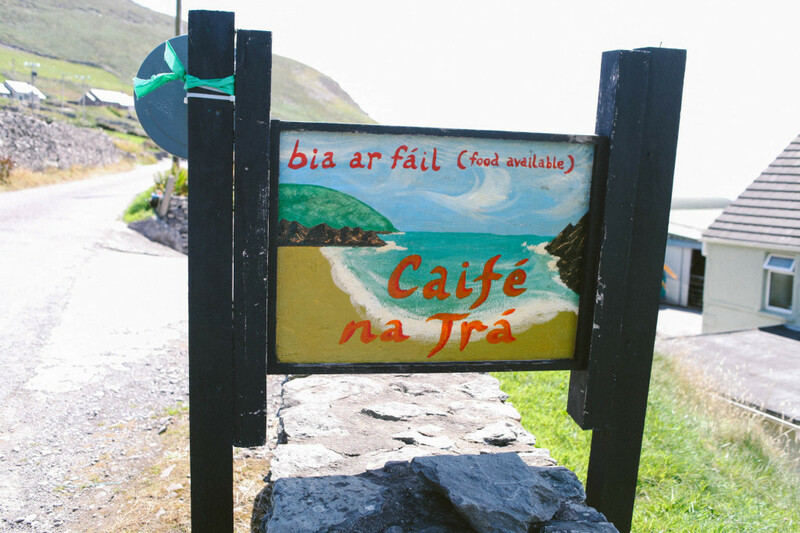 The Dingle Peninsula is Gaeltacht country, meaning that Gaelic is the primary language here. This was visible in all the signage and names in the area. After following the busy road for a few kilometers, the trail makes a drastic turn away from zipping cars, up a small mountain and into true Irish farmland. 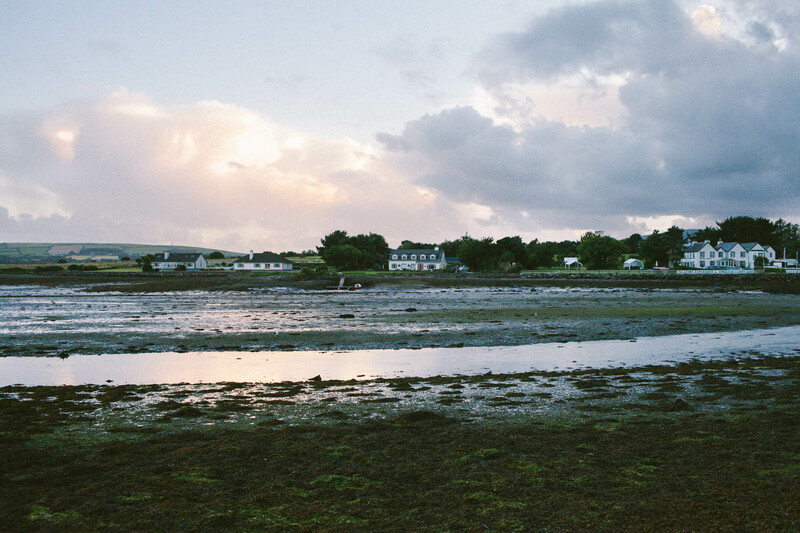 In a matter of minutes, all sounds of human activity disappear into the Atlantic wind. 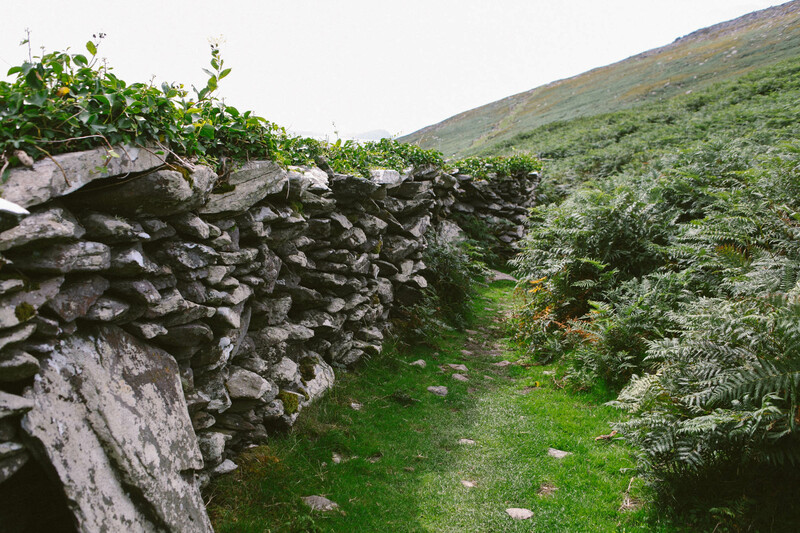 For much of this portion of the trail, you follow typical Irish old stone fences that demarcate fields and farms. 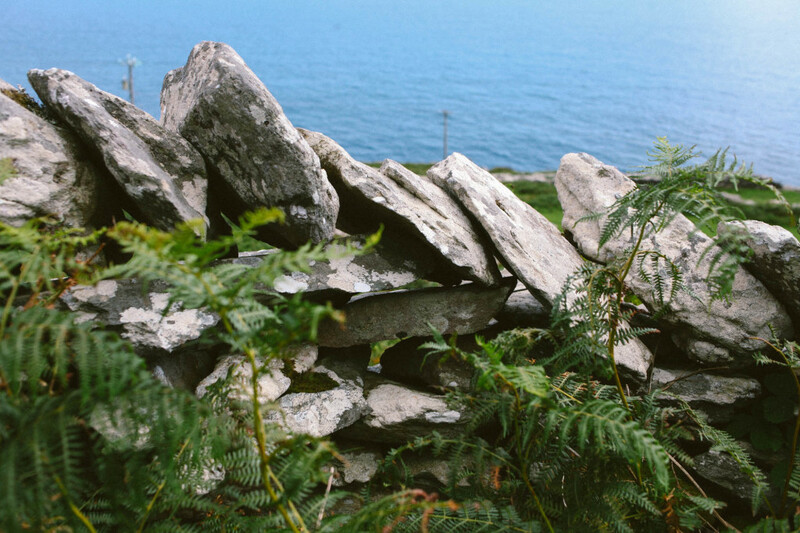 They are made of stones found on fields that are stacked on top of each other and can easily be taken apart for an opening wherever needed. For anyone who enjoys solitude in nature, this section of the trail was incredible. 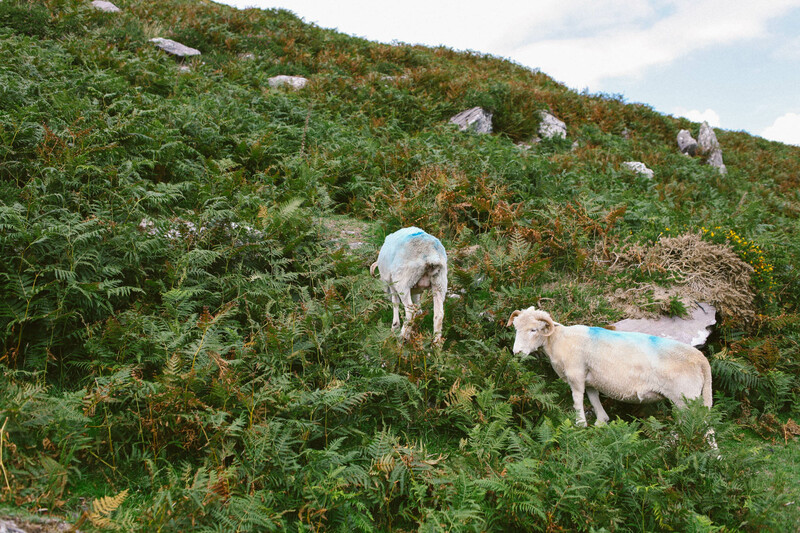 With other friendly hikers only appearing here and there, the only thing around for a few hours were wildflowers, bright green grass and the occasional four-legged locals. 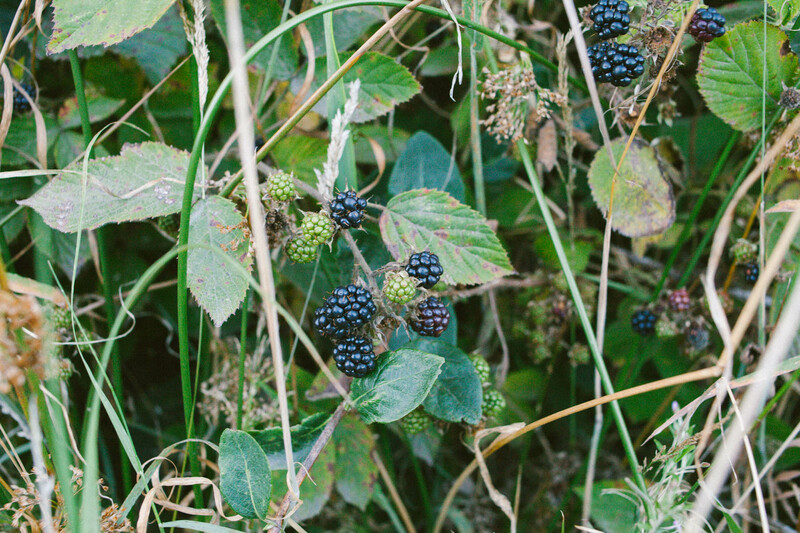 After a turn away from the ocean and a long trek through tall but tasty blackberry bushes (tip from a local: the blackberries that come off easily are sweet and ripe! ), you arrive at the long and sandy Ventry Beach. 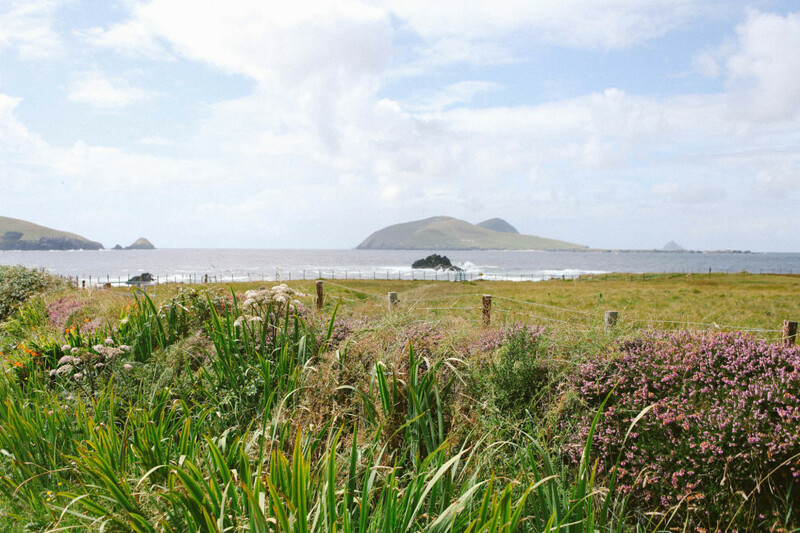 The beach recently became an International Blue Flag beach, meaning it is high in quality, safety and environmental standards. 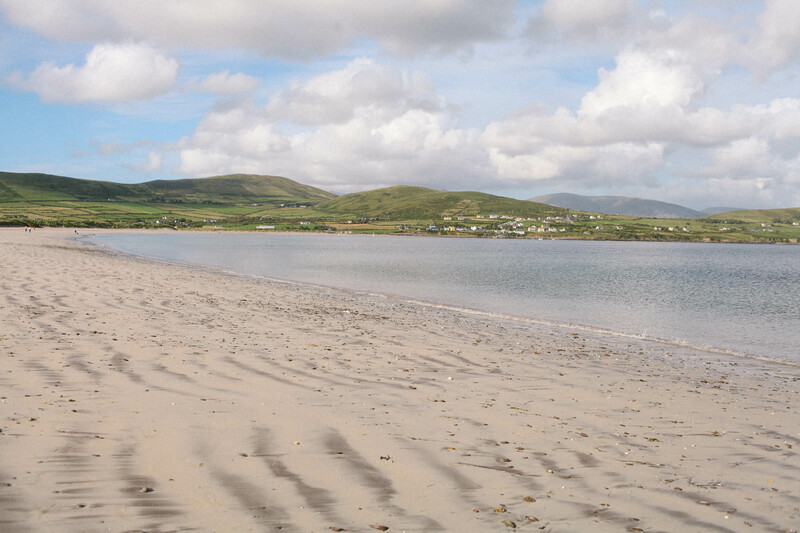 The beach finishes with the small town of Ventry, a great place to rest and get something to eat and refill on water. At this point, I was in my 7th hour of hiking and definitely feeling my out-of-shape state and lack of proper hiking footwear. 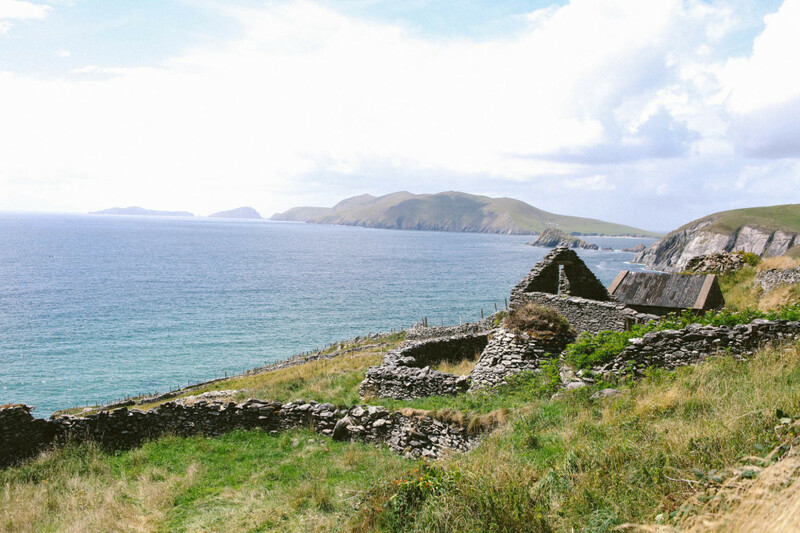 A local told me that Dingle was still about 7 kms away but that it was easy to get a lift from someone driving back. While my feet were very willing to get a lift, my pride did not let me give in and I set off to finish the hike on foot. 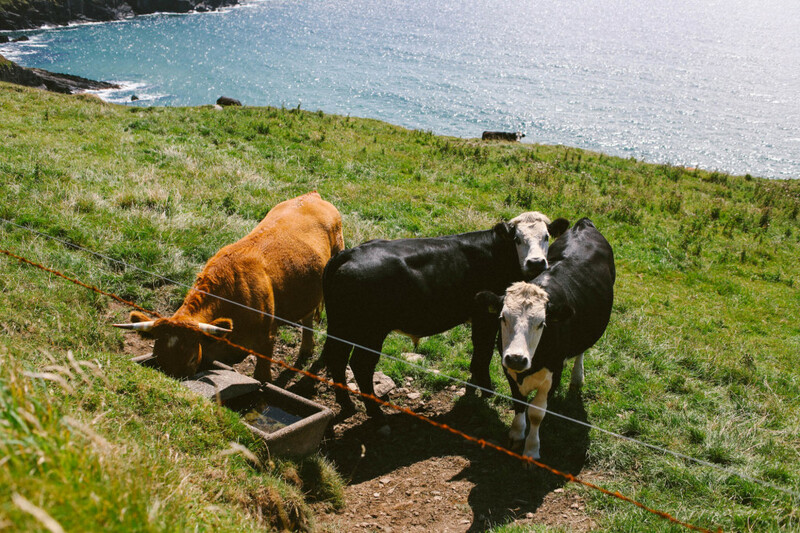 Walking this stretch, I met a local named Katherine. 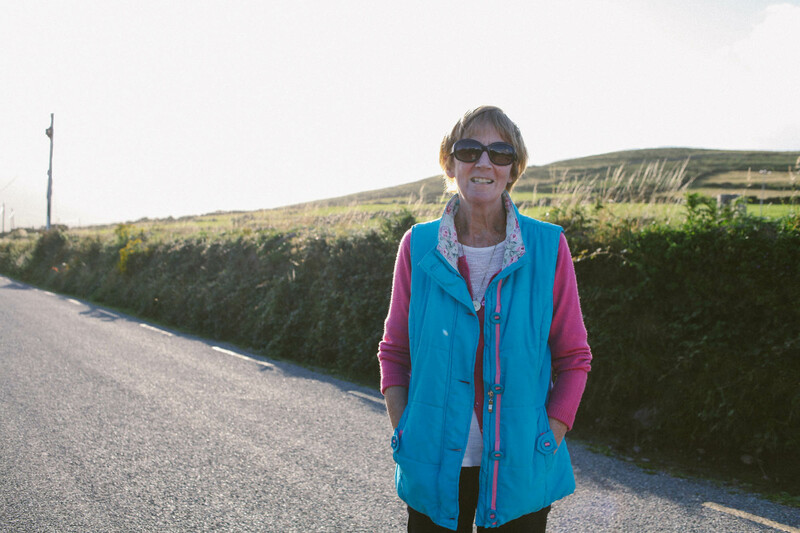 She told me about her life as a teacher in Dublin and Los Angeles, and how she retired back to her hometown of Ventry where she now appreciates the beauty of the area more than ever. We had a wonderful talk about life and finding your place in the world and she left me with a great piece of wisdom: “For every problem in life, there is a solution.” Meeting people like Katherine is the greatest part about going off the beaten path and exploring places on your own – it teaches you to be open and shows you how friendly most people in our world really are. 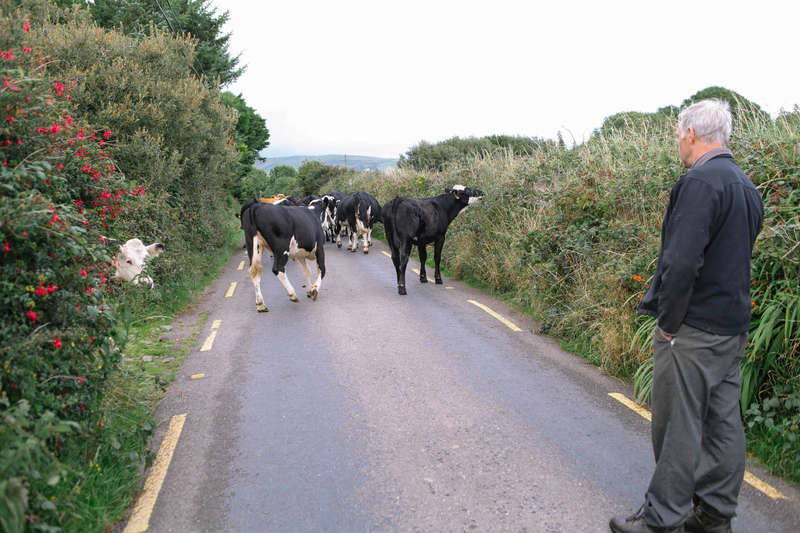 The final 7kms back to Dingle take you through small farm backroads where farmers call their cows back home for the evening. 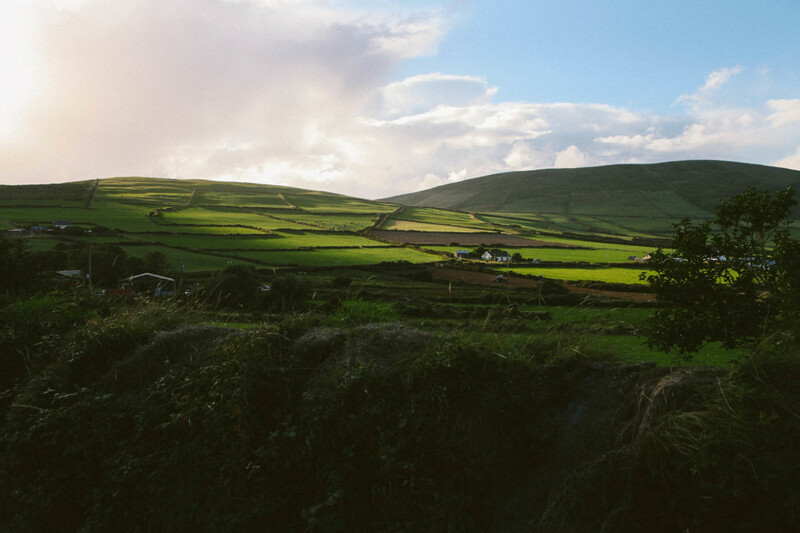 Reaching Dingle at long last during sunset was the perfect end to a long but wonderful day of hiking. 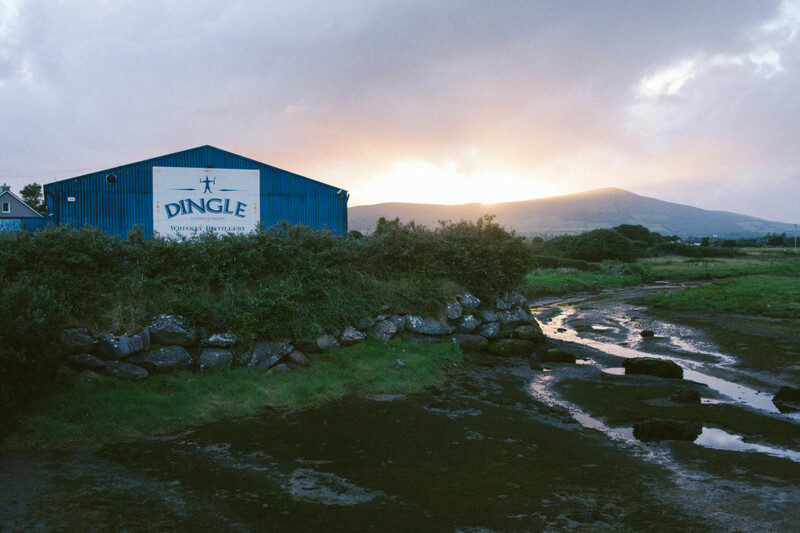 I was greeted back into town by the Dingle Distillery, Ireland’s first distillery built in the last 100 years. Bravo Basia. Powinas prodrozowac wiecej z mama, …a moze nawet pisac ksiazki podroznicze. Swietnie napisane i bardzo dobrze sie czyta.